With tractor tyre technology becoming increasing more sophisticated and costly, treating them with care has never been more pertinent. Jane Carley runs through a few top tips. 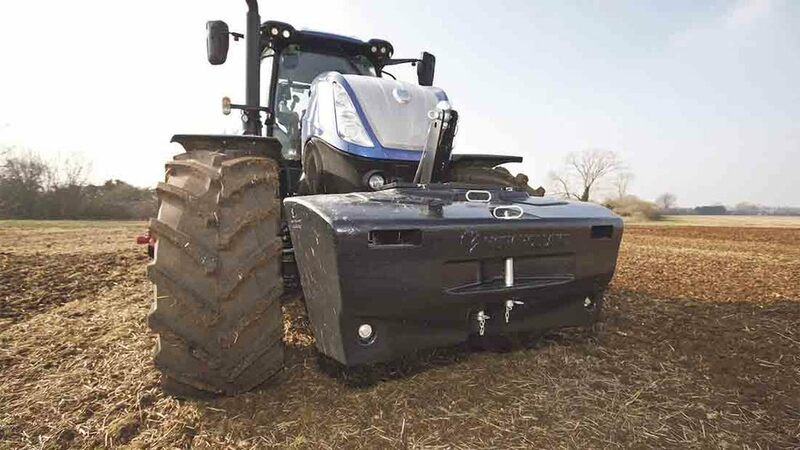 A modern 200hp tractor, and its tyres, are required to carry out a wider range of tasks and perform both in the field and on the road. Average tractor horsepower continues to creep up and what was historically considered to be a ‘big tractor’ at 200hp, may now be the main workhorse on many farms. However, with tyres representing a significant cost and playing a vital role in efficiency, care must be taken to ensure they are performing to their full potential and able to meet working life expectations. With a few simple tips, tyre wear can be reduced, fuel use lowered and overall efficiency improved. Mitas UK technical manager Kirk Walker says nearly 90 per cent of all tyre warranty claims are pressure related. “It is the single biggest area when it comes to damage, with low and high pressures causing irreversible deterioration in tyres. 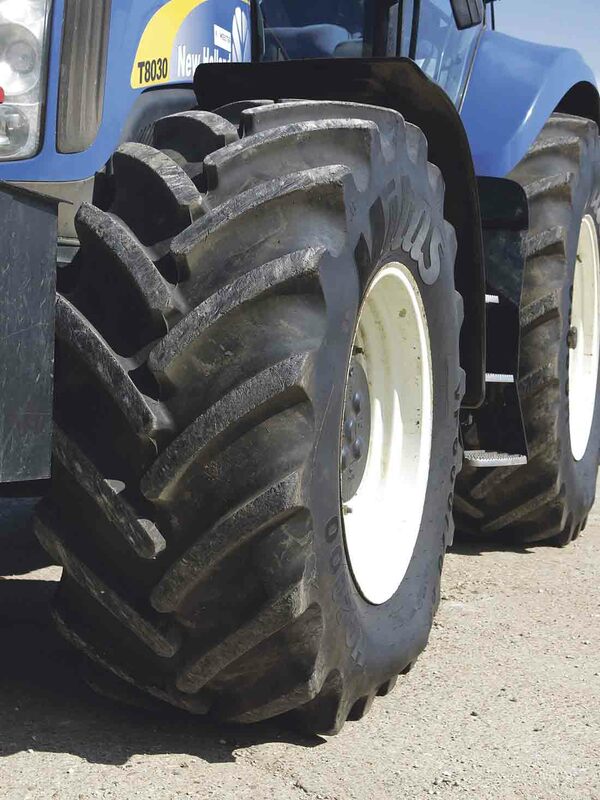 “With a large cultivation tyre costing up to £5,000 it is an area where producers can make a big difference to costs and operating efficiency if they understand more about tyre management. To set tyre pressures accurately, getting individual axle weights right is key, he says. Michelin customer engineering support manager Gordon Brookes says irregular wear is a common issue. If the tyre has a minimum carrying capacity of two tonnes but only 1,500kg is exerted on it, then he says it is significantly over-inflated, even at the tyre’s minimum operating pressure. The problem often occurs, when front weight packs are taken off the tractor for road work. 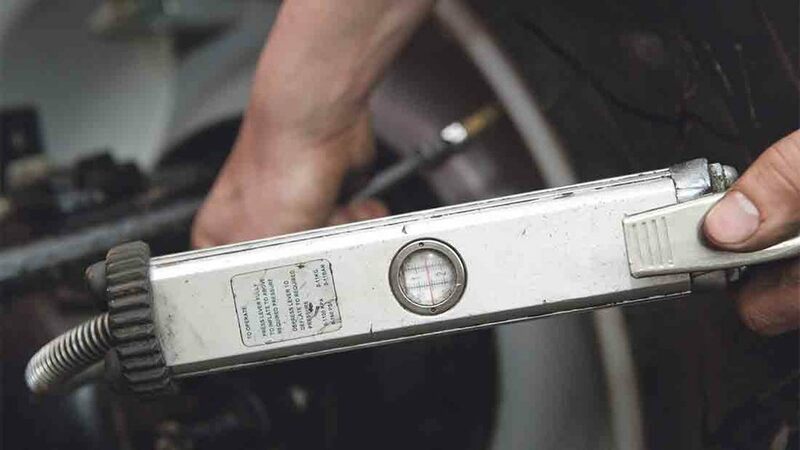 When checking tyre pressures, he advises operators seek the tyre manufacturer’s advice and ensure the tyre is still able to flex. One of the most significant tyre developments in recent times is the introduction of high flexation (HF) and very high flexation (VF) tyres. Kirk Walker says VF tyres can be used at a lower inflation pressure in the field and the same pressure can be used for road work, thus making this design ideal for the range of tasks a modern 200hp tractor can perform. The considerably lower pressures at which VF tyres work can lead to 25 per cent larger footprints so the tyres look different to conventional ones when in operation, he says. Get it right, he says, and you will benefit from reduced ground pressure, better traction and the ability to run high road speeds at lower pressures than with conventional equipment. Like any tyre, set-up is key and although poor fuel consumption, rapid wear and reduced in-field performance can all result from poor management, it is an area few farmers understand properly, he says. 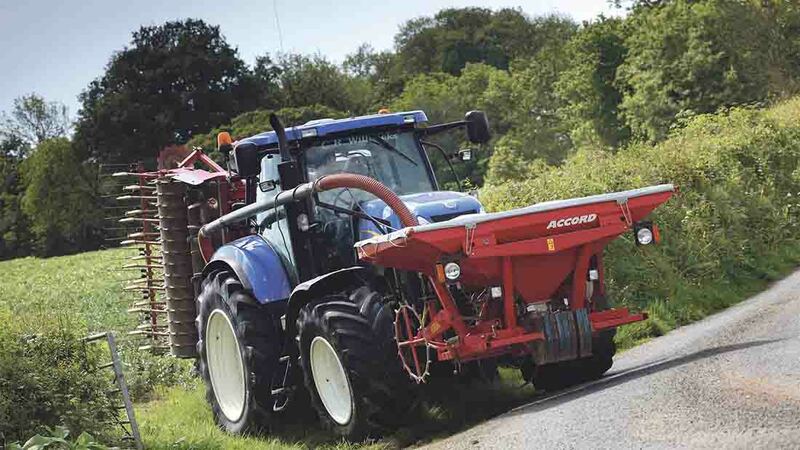 “I think most people still set the best operating pressure for the road and then use this in the field without realising how much soil compaction this can cause and how much extra fuel it uses through reduced traction. Few actually adjust pressures between different jobs. 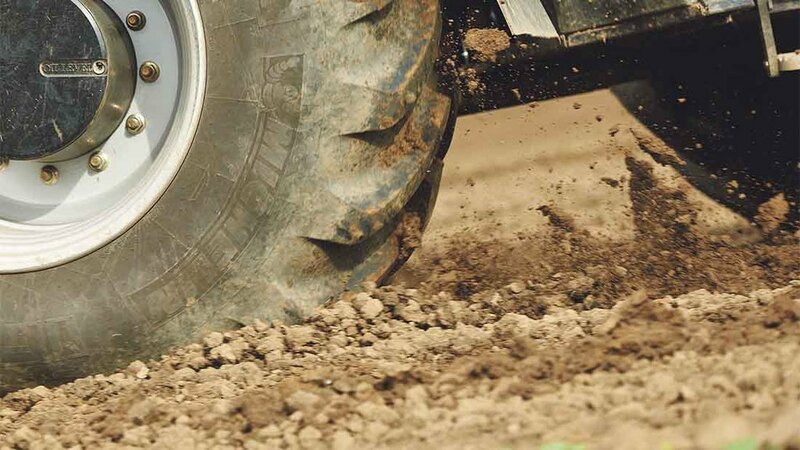 Tractors used mainly for cultivations may be parked up for long periods and, as with other seasonal equipment, such as harvesters, tyres need to be inflated to a higher pressure to prevent the sidewall deflecting and flat spots appearing, which can affect road performance. Kirk Walker agrees. “If a machine is to be stored for a few months, ideally the wheels should be raised off the ground, however this is not always practical. The first thing to do is raise the inflation pressures up to their maximum and to store the tyres away from sunlight, cold air and moisture,” he says. Water ballast is also becoming increasingly popular, he says, and operators should ensure ballasted tyres have anti-freeze in them in cold weather. This is worth double checking at the end of the establishment season. Another cause of uneven tyre wear may be steering misalignment, Gordon Brookes says.